My second hypothesis is that this is a drought induced mechanism of survival or seed dispersal. This is less plausible given “that soybeans have had their natural tendency to shatter beaten out of them as much as possible by breeders”. However given the severity of the drought coupled with shatter timing (pre-R7) it may be a possibility. 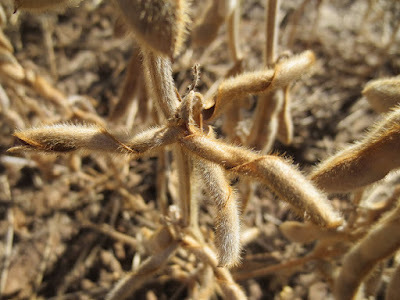 Regardless of cause shatter can significantly impact yield especially if it begins weeks prior to harvest ripe (Image 3). 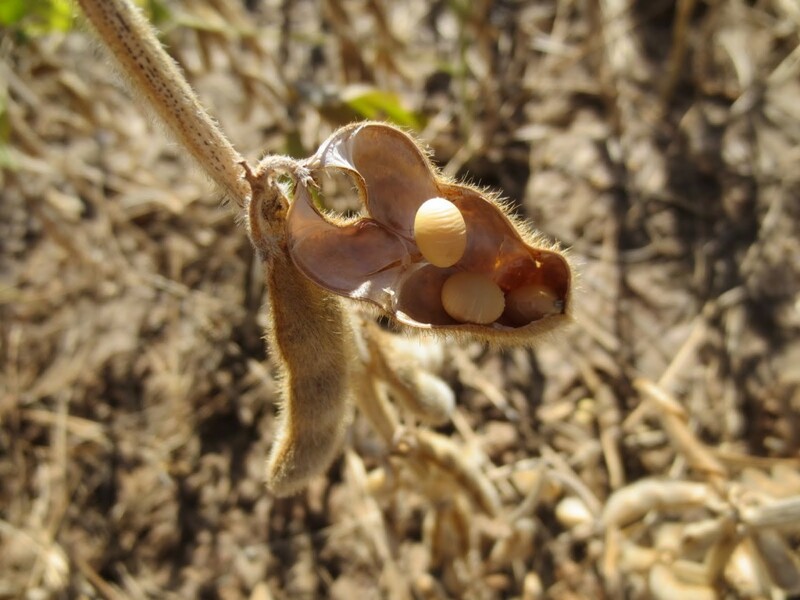 As a general rule of thumb a loss of 4 seeds per square foot equals one bushel per acre yield loss. 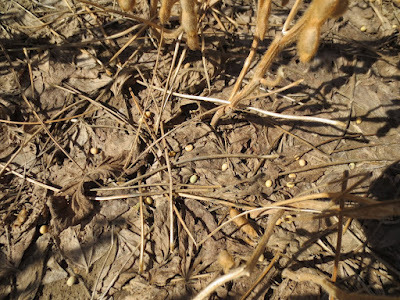 I have yet to reach an average of 4 seeds per square foot in my research plots however if you are concerned and are questioning harvest timing to minimize shatter in your early maturity group soybeans please see Check Combine Settings to Minimize Soybean Harvest Loss.